Babies First! – Zucconi Idea Agency, Inc.
On the one hand, it's a strikingly simple promotional theme. On the other, it has layers of meaning built in. 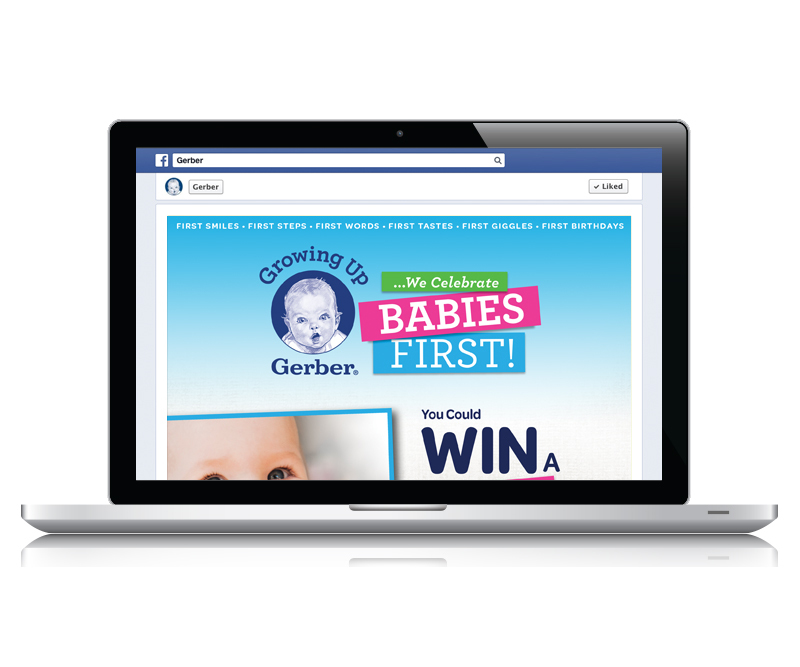 "Babies first": putting babies first has always been at the very heart of the Gerber® brand mission. 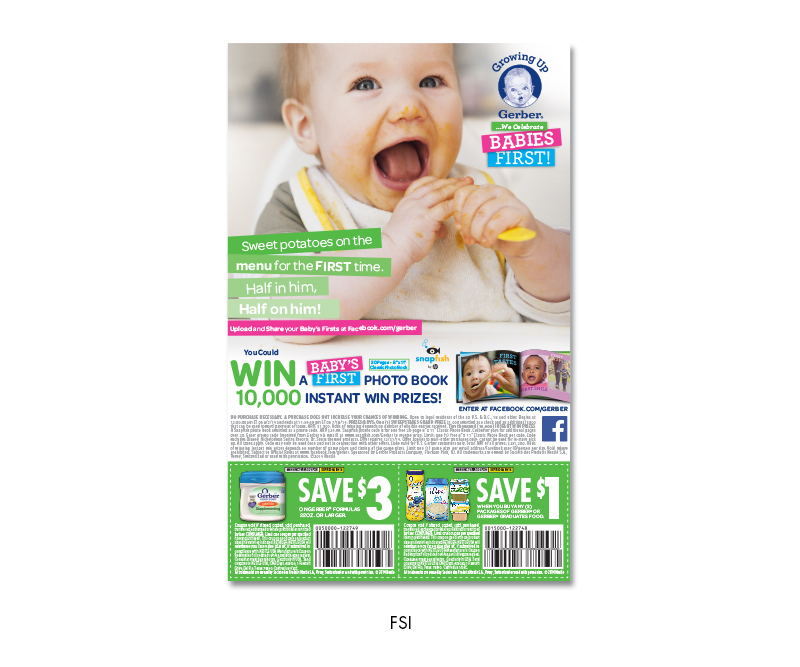 And if you spin the phrase a little differently, it also speaks to all the memorable "firsts" in a growing baby's life – first smiles, first words, first steps. And, of course, first tastes. Because this was a full-portfolio event, we had a unique creative opportunity. We developed a look-and-feel that celebrated several "firsts" moments – different moments, different ages and growth milestones. We combined a contemporary color palette with candid-style photography and "first-person" copy. 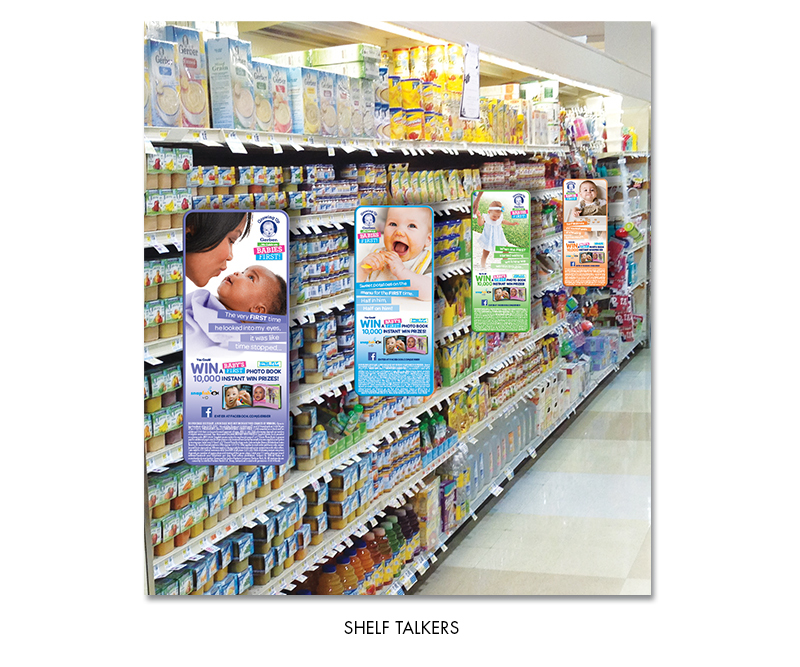 The result was a multifaceted experience that came to life most powerfully at retail, in a series of in-aisle banners, each one focused on a specific "first." The result was a fresh, honest, slightly editorial approach…in an unexpected venue. 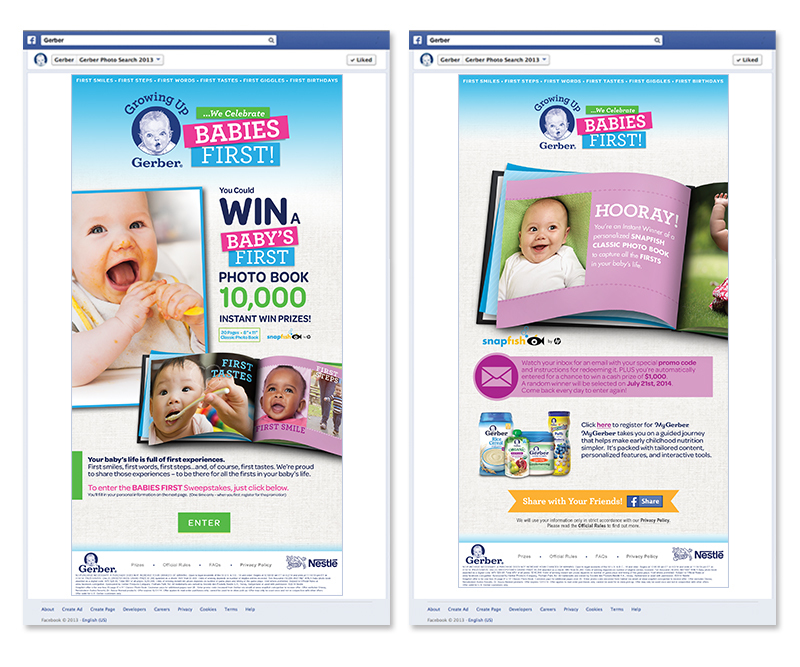 The Facebook sweepstakes overlay centered on a highly desirable prize that strongly reinforced the promotional theme. 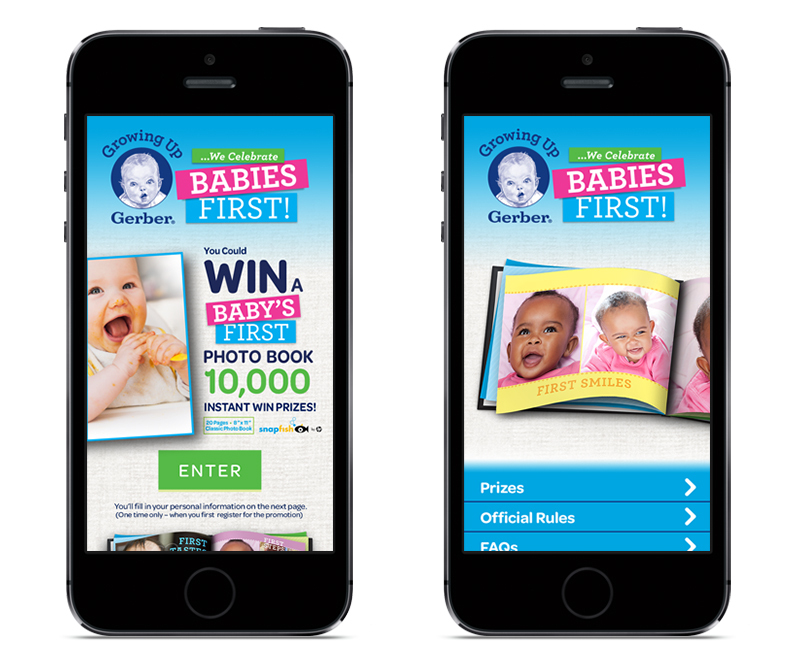 Partnering with online photo site Snapfish, we gave away 10,000 personalized photo books designed to capture all those amazing babies' firsts. Even the gameplay experience was built to replicate the photo-book experience, featuring "turning pages" and intensely relatable photography.